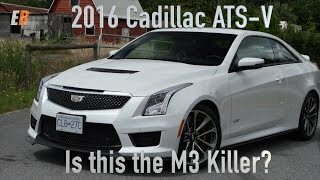 Soon after the release of Cadillac ATS Sedan in 2013 the model stood as a great competitor in front of BMW, Mercedes and Audi. 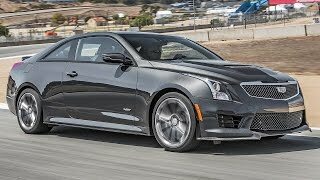 After the silence of two years the company looks more determined with the coupe version of Cadillac ATS named, Cadillac ATS-V Coupe 2016. The Coupe is mounted with the same engine as that in its sedan sibling but we presume a few more add-ons as with ATS-V Coupe the company is looking ahead to beat the BMW M4. Let’s check what makes it more special. Not enough of changes have been noticed in the interior of Cadillac ATS-V Coupe 2016. The major one getting noticed is the handcrafted works like cut-and-sew elements, stitching done for decorative purposes and carbon fiber inserts. Interior comes with three color choices comprising, jet black in main with saffron inserts and light platinum combination. Few other modifications like the one bringing the racing inspired adjustable bolster seats are also an impeccable addition. A 5.7 inch instrument panel cluster display comes with a bespoke version while the window units add convincingly with their distinctive gauge readouts. The exterior of Cadillac ATS-V Coupe 2016 comes with a slimmer grille holding vertical slats. To add to the aggressive looks of ATS-V Coupe 2016 is a newly designed apron with revised side intakes. The modification extended its wings till the carbon fiber splitter and hood as well. Just like the front fascia the rear of Cadillac ATS-V Coupe comes with aggressive look. Four tailpipe exhaust, lightweight alloy wheels and the rear diffuser getting accompanied by attractive large rear spoiler makes the model a step ahead its sibling. 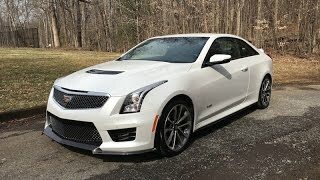 The Cadillac ATS-V Coupe 2016 comes with a twin turbocharged 3.6 liter V6 engine, giving the ATS-V Coupe enthralling power of 455 hp and 604 nm torque mated to six-speed manual transmission. 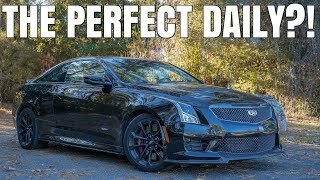 The Cadillac ATS-V Coupe with its revised work is capable of touching the high speed of 189 mph while the 0-60 mph sprint gets knocked in just 3.9 seconds.